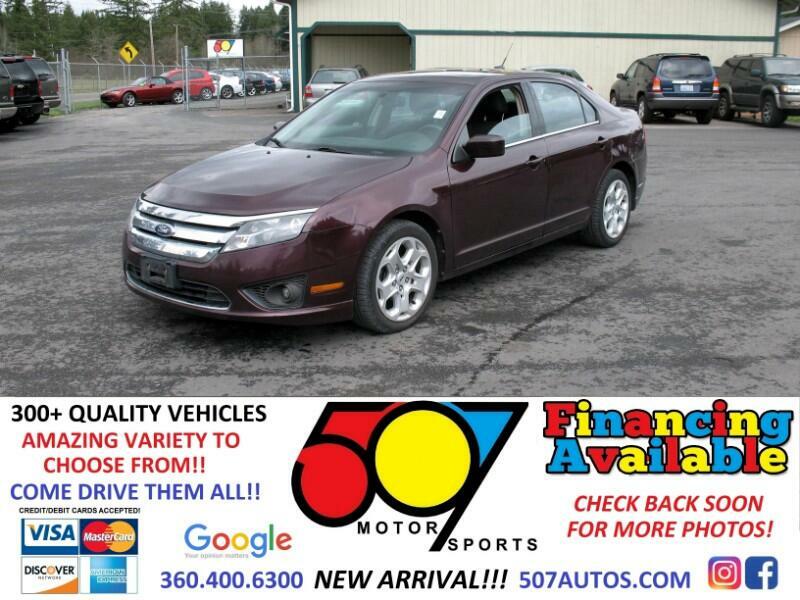 Message: Thought you might be interested in this 2011 Ford Fusion. 507 MOTORSPORTS makes no express nor implied warranty claims on this vehicle to include availability, condition and equipment as advertised. Any advertised pricing excludes tax, title, license and a negotiable dealer documentary service fee of up to $150 may be added to the sale price or capitalized cost. It is the sole responsibility of consumer to verify the existence, condition, equipment, pricing and discounts as advertised. This ad supersedes any and all ads before this date. Nothing contained herein is binding on either party. Please direct any and all questions of said policy to ATTN: GSM at 507 MOTORSPORTS, Roy, WA 98580 360-400-6300.